We can recover data from your desktop or laptop computer, RAID array, servers, or mass storage devices. 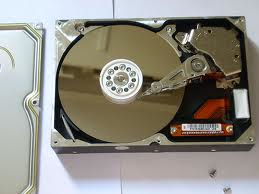 We have a high data recovery rate. You can count on Westway PC for fast, reliable service. We are small business owners, too, and understand the impact of computer downtime and data loss. Got data loss? Call your Houston Data Recovery Specialists, Westway PC at 713-501-0500. If you have already experienced data loss from a failed hard drive or removable media device, we can usually recover the data within one day. We have the experience, tools, and software necessary to recover data from most failed hard drives WITHOUT sending the drive across country or disassembling the drive.